PROVIDENCE, RI (June 18, 2018) – BankNewport opened its newest branch at 55 Dorrance Street in Providence today, June 18. Located at the corner of Dorrance and Westminster Streets, the branch will offer easy access for customers. “There’s genuine excitement about our first branch in Providence,” stated BankNewport President and CEO, Sandra J. Pattie. “It’s an ideal location and will provide added convenience to area customers, commuters, residents, and businesses to access our full range of financial services, delivered by a local team that they know and trust.” The Dorrance Street location brings BankNewport’s branch total to 16. The new 2,000 square foot state-of-the-art, full service branch features an open lobby floor plan. The traditional teller counter has been replaced with POD stations for customer seating during all transactions. Secured cash recyclers will replace traditional teller cash drawers. The branch also has an image-enabled Personal Teller Machines (PTM) providing extended hours for banker support, and has a night depository. To further enhance the customer experience, highly trained universal bankers will assist customers with all traditional banking transactions, as well as consumer loan originations, residential mortgages, commercial lending, business banking referrals, cash management, merchant services, online banking and mobile banking services. BankNewport’s Dorrance Street branch will be led by Vice President, Laura Guillen. As branch sales manager, Guillen will be responsible for branch operations, business development, and staff development, working with a team well-versed to assist customers with banking transactions, product sales, and servicing. Staff will include a bilingual residential mortgage loan officer and a business development officer. Lobby hours are Monday through Wednesday from 8 am to 5 pm, Thursday and Friday from 8am to 6pm, and Saturday from 9 am to 1 pm. The phone number is 401.228.8242. Appointments can also be made with branch bankers by scheduling a convenient time online. 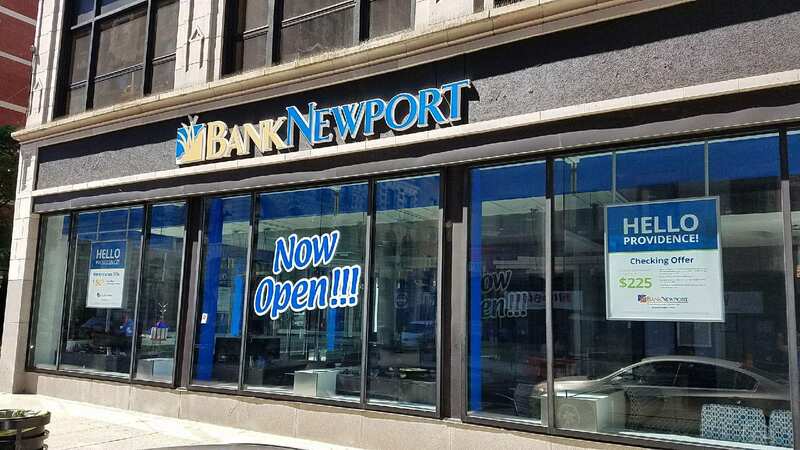 In addition to its retail branch, BankNewport will occupy a third floor office suite in the same building to serve executive, commercial lending and community development activities. BankNewport previously announced that its second branch location in Providence is scheduled to open at 5 South Angell Street in November 2018.